​The HDMI extender over single CAT5e/6/7 with 100BaseT Ethernet, Bi-directional IR, RS-232 and Bi-directional PoC can make your home or office set-up more efficient and easy to use. Uncompressed video and audio can be transmitted up to 330ft/100m. 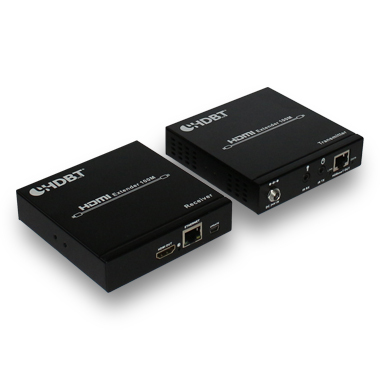 This family design of HDBaseT™ technology allows a full usage of HDMI and controls over CAT5e/6/7 cable.